Many divers spend hours researching and considering the latest and greatest fins, masks, knives, and wetsuits – but never consider the importance of a good pair of dive boots. There are few dive items that provide such great value for the price. 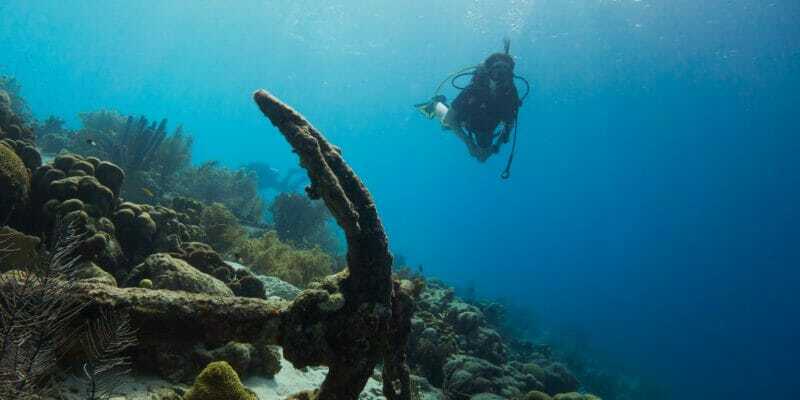 A good pair of dive boots or socks will cost you less than a decent meal for two but will make your scuba, snorkeling or freediving experience much more comfortable. If you’ve ever used a pair of fins for a full day (or several days), you know they can get pretty uncomfortable. Your feet can develop sore spots, blisters and eventually you won’t be able to use those fins without letting your feet heal up. Duct tape will work in a pinch, but a much better option is getting yourself a comfortable pair of diving boots. Why do you need dive boots? How to pick the best dive boots? How to take care of your dive booties? Why do you need dive boots anyway? Surely your feet can handle wearing diving fins without extra protection? You don’t need diving boots for every diving situation, but they sure come in handy in many ways. Diving boots are particularly useful for any type of shore diving. They protect the bottom of your feet when walking from the beach or shore into the water. Walking with your fins on can be a major pain, and you don’t want to cut the soles of your feet on jagged rock, coral or glass. Dive boots are important for cold water diving, as your extremities will get colder than the rest of your body. A pair of 5mm+ dive boots will keep your feet the same temperature as the rest of your body, and allow you to dive comfortably for longer. Keeping your feet protected is probably the most important feature of dive boots and socks. If you dive a lot, even the best fins can start to rub against your feet and create blisters. The soft neoprene material of dive boots will keep your feet cozy and protected. Full-thickness dive boots are usually meant to be used with open heel fins. However, if you use closed heel fins, a thinner pair of dive socks will offer many of the same benefits. These lightweight rubber soled boots are great at protecting your feet from sharp rocks, coral and shells. They’re comfortable, fit just below the ankle and keep sand from getting inside. 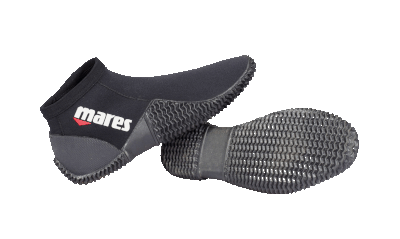 The hard rubberized sole is designed to be used with open heel diving fins. 2mm thick neoprene is great for snorkeling, warm water scuba diving and walking around the beach or shore. The boots are easy to put on and off, as well as to clean. They can be flipped inside out without much effort. The sizing runs on the larger size, so make sure to order one size down for a good fit. If you’re after a dive boot with great foot support and thick, substantial soles – then this beefy boot is for you. It’s more like an actual boot than a typical dive bootie and offers serious protection from sharp objects and rocks. The boot’s rubber tread provides a powerful grip and will allow you to navigate slippery rocks like a pro. The high top design also gives them great thermal insulation and keeps sand and pebbles from getting in. A heavy-duty, leak-proof zipper makes putting on and taking off these boots a breeze. The upper material is soft and stretchy neoprene, which means excellent power transfer while finning. One interesting feature is the fin strap lug located on the heel. This keeps your fin strap locked in position, preventing it from slipping off underwater. 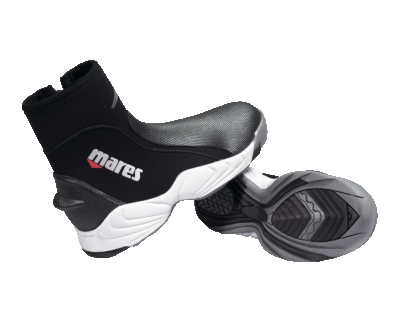 Mares includes a 2-year warranty with these dive boots. 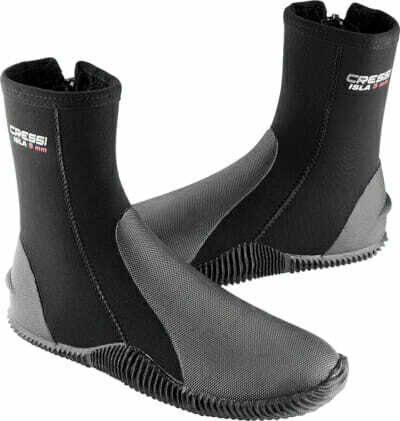 These well-made boots by Cressi are ideal for cold water diving. Available in both 5mm and 7mm thicknesses, these boots will keep your feet well insulated even in the coldest water conditions. The rubber sole is durable and provides a sure grip when traversing over slippery, wet surfaces. It’s not as thick as some other dive boot soles but will provide a decent level of protection. A heavy-duty zipper encloses the boot around your foot and ankle, with a watertight sealing flap to prevent water seepage. The toe and heel are reinforced with rubber caps – adding extra protection in case you drop heavy gear on your toes. The heel has a built-in fin strap holder, which helps keep your fin strap from slipping off while finning. These lightweight neoprene dive socks are perfect for using inside fins with full foot pockets. They’re low profile, and super easy to slide on and off. They don’t offer the same level of protection as full dive boots but will protect your skin from chaffing and forming blisters. The bottoms have a durable rubber anti-slip grip, which comes in handy when trying to walk around on a slippery boat deck. The neoprene is super stretchy and comfortable, making your finning experience much more enjoyable. They’re fairly cheap and weigh next to nothing, so if you’re traveling, buying these boots to throw in your bag is a great option. These snug neoprene socks work great for snorkeling, swimming, scuba diving and walking on the beach. The 3mm thick neoprene provides some warmth, while still being thin enough to slide on and off easily. Perfect for any sized feet, the sock material is super stretchy and conforms to your foot’s shape. A honeycomb-patterned grippy sole adds traction and keeps you from slipping on wet surfaces. The grip also protects your feet from burning in the hot sand. They fit perfectly inside both open heel and closed heel fins, and will protect your feet from getting cut up or blistered. These soft and supple neoprene socks work well for all kinds of diving but are particularly suited to freediving and spearfishing. The 2.5mm thick neoprene protects your feet from chaffing while being thin enough to allow your feet to move around freely. The sock interior is coated in Metallite (similar to an open cell wetsuit coating) which increases thermal protection. The neoprene is also very stretchy, so donning and doffing these socks is a breeze. Protecting the bottom of your feet is a speckled, reinforced anti-slip coating. 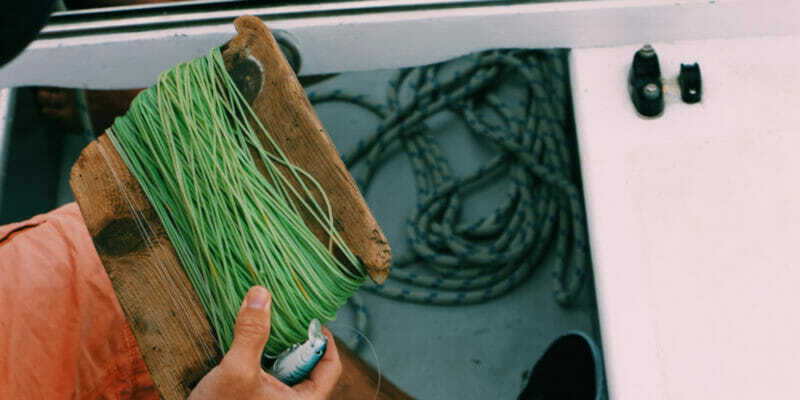 It increases your grip on slippery surfaces like boat decks or ladders. Available in black as well as blue camo, brown camo, and technical camo patterns – you can easily match these socks to your wetsuit color. Made by legendary Japanese diving manufacturer TUSA, these boots are great for any type of diving in cooler water. The hard sole protects your feet when walking over rougher terrain, like rocks or coral. It’s not a full thickness sole though, so it’s still fairly flexible compared to more heavy-duty boots. A fin retaining cleat on the heel keeps your fin strap from sliding off when finning. On the top of the boot, a glide-skin seal prevents unwanted water from flowing into the boot. The closure is a heavy duty zipper with a Velcro zip retainer holding the zipper from coming off mid-dive. 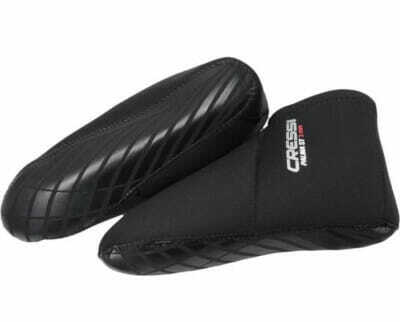 A reinforced rubber toe and heel section provides added protection in case you happen to drop anything on your feet. Picking the best dive boots is a lot like picking out a pair of shoes – a lot will depend on your personal preference, foot shape/size and how you plan to use them. A good pair of dive boots will keep you diving comfortably for hours at a time. Sole thickness is one of the most important features to consider in a dive boot. If you plan on doing any shore diving then the extra protection offered by a thicker sole is worth considering. Thicker soles will keep the sensitive bottoms of your feet from getting cut up by rocks, coral, or poked by urchins. 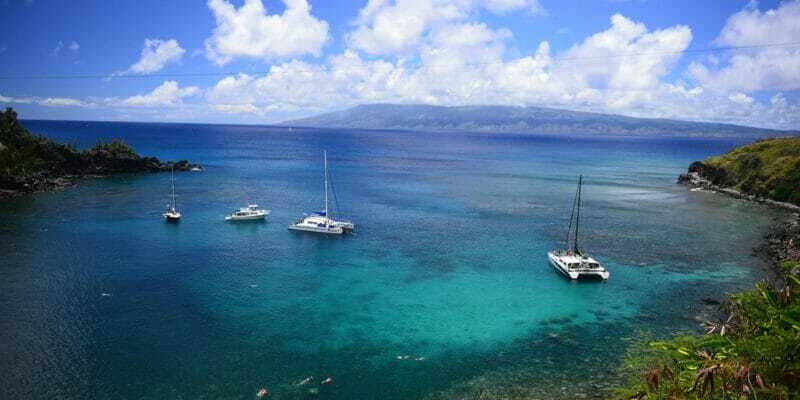 If you dive from a boat or platform and don’t need to travel over sharp, rocky shoreline, then dive boots or socks with thin soles will work fine. Thinner soles are also more flexible, which makes using your fins easier and more efficient. If you dive in hot climates, thicker soles will also keep the bottoms of your feet from getting burned by hot sand. The best material thickness for your dive boots will largely depend on the water temperature in the area you plan to dive. Thicker boots offer better thermal protection but are less flexible. Dive boots work the same way as wetsuits – they trap a thin layer of water between your body and the neoprene material. This water then warms up to the same temperature as your body, trapping in heat. Most boots come in 2mm, 3mm, 5mm and 7mm thicknesses – similar to wetsuits. 2 to 3mm thickness work well in warmer waters (60°F to 75°F), while 5 to 7mm would keep your feet warm in colder temperatures (50°F to 62°F). 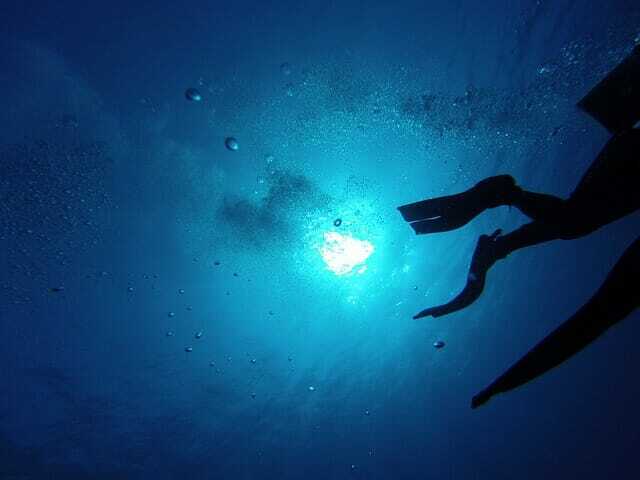 Many divers simply match their dive boot thickness to the thickness of their wetsuit. Much like regular socks, diving boots and socks are typically either high cut or low cut. High cut boots enclose your entire ankle, while low cut boots leave your ankle free, but exposed to the elements. The added ankle support offered by high cut boots are a good choice for scuba divers who need to hump heavy scuba gear around – you don’t want to twist an ankle! The added insulation also means these boots are better for cold water diving. If you’re diving in warm water, then low cut boots will work well. The freedom offered by low cut boots makes them great for snorkeling, or anyone who prefers more freedom of movement while finning. There are a few different fastening methods used in most dive boots. The most common are zippers, Velcro, and slip-on. Mostly found in high cut boots, zippers make putting on and taking off your boots quick and easy. Look for a high-quality zipper that won’t leak or come undone in the water. Velcro is typically used as an extra closure on boots with zippers. It locks the zipper in place so it won’t come undone by accident. Some Velcro closures also allow you to cinch the boot and adjust the fit according to your preference. Slip-ons are typically found in lightweight, low-cut dive boots and socks. They’re easy to slip on and off and offer a lower profile than other dive boots. Dive boots are typically available in regular shoe sizes. Most will fit true to size, but check the manufacturer’s sizing guide if you have any doubts. The fit should be similar to a well-fitting sneaker or dress shoe – fitted but not too tight. You don’t want it to be so tight that your toes are bunched up against the front of the boot. At the same time, you don’t want too much loose space. That could cause your boots to slip and reduce your efficiency. Dive boots are typically sold only in full sizes, so if you’re a half size, round up to the next full size. Many are also only available in men’s sizes, so women will need to order a size or two down. An important consideration when choosing a pair of dive boots is how they’ll fit with your fins on. After all, if they don’t fit well inside your fins, you’ll never wear them! Make sure to try on your fins and dive boots together before you jump in the water. If possible, bring your fins with you when you try on dive boots or socks. If you use open heel fins, getting an exact fit is less important. You can always adjust the foot strap around the dive boot. For closed heel fins, opt for slimmer dive socks designed to fit inside the foot pockets. 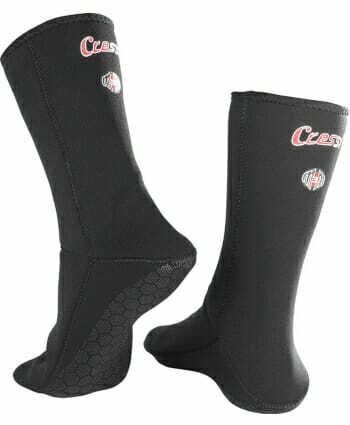 The major difference between scuba dive boots and fin socks is durability and sole thickness. Scuba boots have thick rubber soles which are designed to protect your feet when you walk over sharp, rocky shoreline. They’re bulkier than fin socks because they’re built to fit inside the roomier foot pockets of open heel scuba fins. Fin socks are lighter and slimmer, without rubber soles to protect the bottoms of your feet. 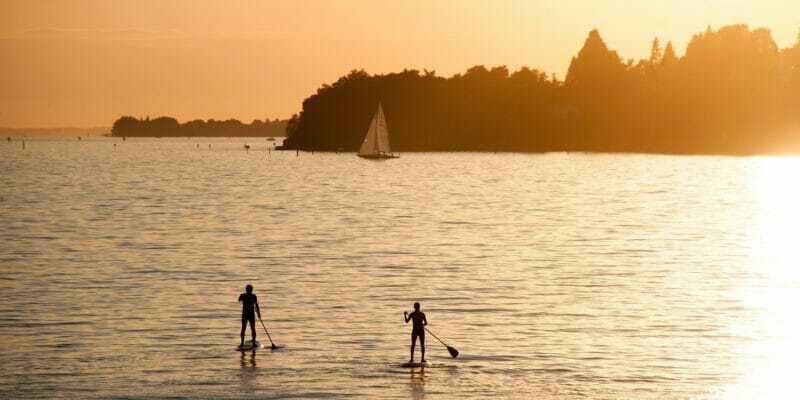 If you have to walk over rocky terrain on your way to the water, bring a pair of flip flops to protect your feet. Fin socks are usually made of neoprene, which is flexible and warm but can get damaged on sharp objects. They’re meant to fit inside fins with closed foot pockets, which are less roomy than open heel fins. Taking good care of your dive boots will ensure they last as long as possible. Treat them with the same care you would give your wetsuit. 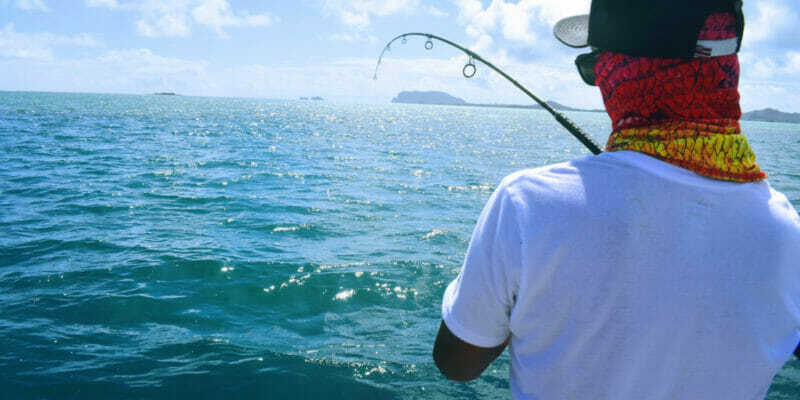 If your boots are on the tighter side, use some wetsuit lubricant or soap to slide them on smoothly. You don’t want to stretch or force the neoprene material excessively. When you’re finished diving, give them a good rinse in fresh water and wash the inside with a mild, non-irritating soap. Baby shampoo works well for this. Neoprene can develop a nasty smell if not cared for properly, so try not to forget this step. After cleaning, let the dive booties or socks air-dry and put away in a cool, dry place. Try to keep them out of direct sunlight as it can damage the material. Also, avoid using harsh cleaning chemicals when washing the neoprene material – they can damage the lining and negatively affect its ability to insulate your feet. 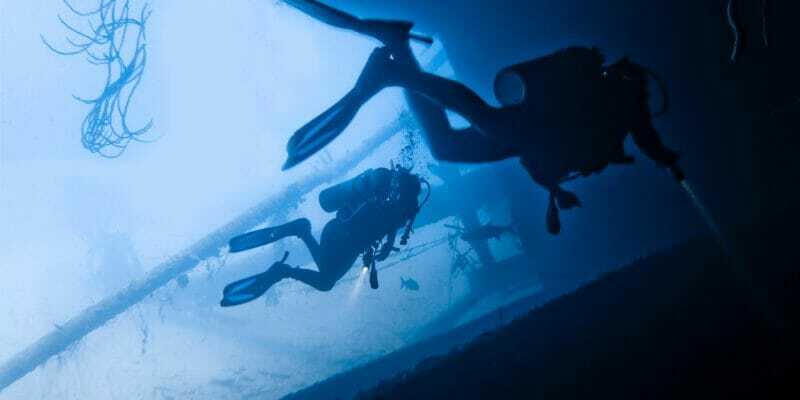 A good pair of diving boots or socks is undoubtedly a key piece of diving gear. However, it’s usually the last thing most divers think of when considering what gear to buy. Keeping your feet protected and comfortable while diving will ensure you can dive for hours at a time – without having to stop and rest your sore footsies. You might not agree, but I’d say dive boots are a key piece of diving safety gear. Cutting open your heel on a sharp rock or piece of coral can really put a damper on your day, and put you out of commission for a while. When considering which diving boots to buy, the most important things to keep in mind are comfort and use case. You want boots that are comfortable to wear for many hours (or days) at a time. Everyone’s feet are different, so a boot that’s comfortable for a friend may not be ideal for you. If possible try on boots before you buy them. Use case means where and how you plan to use your boots (cold vs. warm water, open heel vs. closed heel fins, and shore diving vs. boat diving).